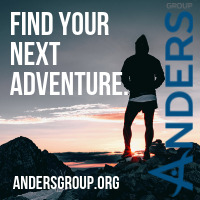 Last month, at APTA CSM, I got together with Stacy and Melissa, two recruiters from Anders Group to discuss travel PT. The premise of the conversation was getting into some of the “next level” topics that recruiters and travelers never get to discuss together. At just under 40 minutes long it’s a good listen for your next run, commute, or road trip. Either stream it right now or hit the three dots on the right to download it for later. Happy listening!!! I’m very happy with the conversation we had and hope all the things we discussed will help you find the assignments you want! Many thanks to Stacey, Melissa, and Anders Group for taking the time out of a VERY busy conference to chat. 2018 was my first full year living a settled life – not as a travel PT. It has definitely been a transition – a transition that I might not be fully appreciating until now. Friends often ask, “Do you miss traveling?” I answer quickly, “Yes”. But, as I reflect, I realize all the things that have gone on in the last year. A lot of the things that I accomplished could only happen once I was done with the travel lifestyle. I loved my life traveling for work between ski slopes and beaches, but this year has been pretty special. This is the first year since 2004 that I have lived in one domicile for an entire year. Kate and I bought a house out here in Colorado almost two years ago. After months of DIY jobs and decorating, we are finally feeling a sense of home. Previous to this, we had briefly worked as permanent PTs before our 10-year stint as travelers. Before that, we had each traveled state-to-state for clinicals our final 6 months of PT school. …and prior to that, lived in a potpourri of apartments scattered across the segment of Boston inhabited by Northeastern University students. I finally lived in Colorado long enough to get acclimated to the altitude. Many say it takes 2 weeks to get acclimated, I insist it takes more like 6 months to truly feel strong. I had grown up outside of Boston, but visited a family cabin in Colorado at 8,000 ft for just a week or two most summers. On most trips, someone got altitude sickness. Whether it be me, a family member, or a friend I had brought along, someone would puke intensely for about 24 hours, and then be fine for the rest of the trip. Now knowing what I know about altitude sickness, we might have approached acclimation a little more seriously. This sign put up near an aid station about halfway up Pikes Peak made me laugh out loud. A bunch of rescue workers and volunteers were camping out around that part of the mountain… with a helicopter, just in case. When I was a kid, my family trips to the cabin were usually during the last couple weeks of summer before heading back to school. We were often at the cabin during my birthday which is the same week as the running of the Pikes Peak Marathon. On most trips to the cabin, my family would drive up the “Pikes Peak Highway” to the 14,110 ft summit of “America’s Mountain”. On more than one occasion, we were at the top during the marathon to watch runners tag the 13 mile mark of the race, barely pause, and head back down. We all thought those guys were a bunch a psychos – who would want to do that? At some point along the way, I decided that I too was a psycho who wanted to do it – probably intense nostalgia and just a bit of hypoxia influencing that desire. This year, I got to check the Pikes Peak Marathon off my bucket list. I was extremely excited and motivated during the whole process of training and through the marathon’s completion. The race went great! I took a relaxed approach and spent time getting food and water at each checkpoint. After resting a few minutes at the top to shoot some pictures, take in fuel, and have a small internal celebration, I soon realized many people were blowing past me to head back down to the finish line. I quickly rejoined the psychos for the 13 mile plunge back to the bottom. I am so happy to have had that experience. I don’t think I’ll do it again… but who knows. Half way done. Feeling great taking pictures at 14,110 ft while this guy in the purple shirt and lady in the blue jacket both casually pass me and head back down. I feel like staying in one place and stopping traveling finally let me make some headway professionally. I knew this would be a part of stopping travel, and it’s one small solace in losing several months near the coast each year. When I left my patients every 3-6 months, it was hard to find any sense of professional momentum. Now, working in one place for almost 2 years, I finally feel like I have some personal connection with my patients. I have people who come back every time they have an injury. I have malingerers who are constantly hurt and seem to never leave. I have doctors who expect me to be there for their patients. Most importantly, there is continuity – I get to see all patient cases to their end, and that has helped me grow tremendously as a clinician. I still frequently joke about going back to travel, if only to make my co-workers uncomfortable, but let’s be honest, I have a house, I have a life here, and I have a kid – I am stuck! Which brings about the greatest and best addition to my life – this has been my first full year with a kid. I can’t describe the happiness our daughter has brought. It’s a wild experience. At 1.5 years old, I’ve already been strapping her into skis in the backyard. She enjoys it for about 2 minutes, which is probably enough skiing when you’re one year old. People around here typically get their kids on the mountain in this first year – but I’m not so sure we need to be so aggressive about it. It will probably happen just before her 2nd Birthday, but only if the timing is right, and if it’s fun. I just remembered one other great thing from this year: my Boston Red Sox winning the World Series…. again! The Red Sox winning the World Series this year was the cherry on top of an already incredible year. Just had to mention that. GO SOX! That’s it for now, but another year of adventures and firsts is just beginning. The whole family will head to CSM in Washington DC to kick off the year, and we’ve been brainstorming other potential air and road trips for the summer. Other APTA conferences have me busy zipping out of Colorado for 2-3 days at a time throughout the year. Hang on, it’s going to be a wild ride, and I’ll keep you updated as we go. Happy New Year! Physical therapists find ways to live this crazy travel-life in a bunch of different ways and have to overcome a variety of obstacles to find the flexibility in their lives that can allow them to up-and-go to different jobs at any time. People travel with their friends, with their spouses, with their pets, and with their families. Any of these obstacles adds a little complication to travel, but by no means should these be reasons not to travel. Traveling in an RV has always seemed to me to be the best way to overcome housing struggles. Having your own, mobile space solves many of the difficulties of shuttling kids around from state-to-state or finding a short-term apartment that will allow pets. In 2014, we lived in a camper on Martha’s Vineyard to solve the issue of not being able to find affordable housing. The camper was a major part of what made that one of my all-time favorite travel assignments. There are pieces of our lifestyle that summer that I wish I could make more consistent staples of my everyday life. If Kate and I ever did continue to travel with our daughter, it would be in a camper again – like the Partridge Family of Physical Therapy. Our pretty sweet set-up on Martha’s Vineyard. I have been enjoying reading PT Adventures and some of their recent posts on traveling with a baby – some on traveling with a dog too. Highway Hypodermics is a facebook page for healthcare travelers living in RVs. The page has over 5,000 members and is definitely the best resource if you have any questions about living the travel life in a camper. If I know anything, I know how to find two travel PT jobs at once, because Kate and I were travel PTs together for about 10 years. I can’t think of a time that we weren’t able to travel to where ever we wanted because we couldn’t find two jobs – though, we did have to be flexible and inventive at times. One independent contract I worked was in Kona, Hawaii. This is from a day trip out to Waipio Valley. That was a great summer. Normally, our first line of attack would be to find two jobs close to one central town. This approach would typically work. We never put any effort towards trying to work in the same clinic, but often a recruiter would find us two jobs at the same workplace. 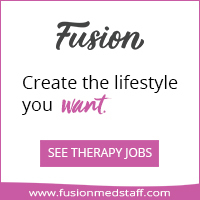 The agency would present us as a “travel team” which is advantageous for a facility trying to fill multiple positions – one stop shopping for multiple therapists. This easy solution was sometimes nearby where we wanted to be and not necessarily exactly where we wanted to be (i.e. commuting to work in communities just outside a major city we wanted to live in). The most frequent settings we would find work together in was in smaller community hospitals (CAH) or working for a home care agency. Even if you’re not romantically involved with another traveler, you might consider traveling with a friend. Two travelers working contracts together can be a great way to get ahead financially – getting two housing stipends and having only one rent is a great way to keep some more cashola in your pocket. In the rare occasions that we couldn’t find two jobs in the same area, we would start calling around the area to private practices looking for independent contracts. One of us would have the “official” travel job with benefits, and the other would find an independent contract. Here’s a more detailed post on the process for finding an independent travel PT contract. Living with a significant other who isn’t a Physical Therapist should not be the lone reason not to travel. I have met many couples along the way who have figured out how to make travel therapy work for them. One good friend (PT) met a Speech Therapist while traveling. They eventually got married, settled down, had kids, the whole nine yards. But, for a while, they took year-long travel assignments – her as an SLP in schools, him in a variety of settings as a PT. Additionally, I know several PT/OT couples who have had the same positive experiences we did – there’s a lot of facilities out there looking for PT/OT teams. I’ve also met many couples traveling as a PT with a non-healthcare worker (even one PT/recruiter couple!). If the non-therapist doesn’t have an easily portable job, he typically has to be more flexible in his work – odd jobs, seasonal work, Ridesharing driver, Amazon delivery, etc. With a little determination to get on the road, it’s easy to work odd-jobs for a few months at a time in many regions of the country. Traveling when you have add-ons (family, pets, etc.) ultimately comes down to the final conclusion that so many things in travel therapy do – flexibility helps! The more flexible you can be with where you’re willing to travel, what setting you’re willing to work in, or what you’re willing to live in, the more opportunities you’ll have. A little flexibility goes a long way in finding happiness through traveling therapy. I get questions like this all the time: Where should I go on a travel PT assignment? How do I find a good travel PT assignment? Is working in this particular health care setting the best I can do? The answer: I don’t know what is best for you!!!! These are personal decisions that rely on the balance of many different factors. The right assignment for you may be very different than what somebody else wants. To be successful in travel therapy, you need to be flexible where you can, but you also need to know what is important to you and pursue it. I’d like to explore a few of the factors that will play into you choosing the assignment that is (hopefully) the best one for you. Location has ALWAYS been my top priority traveling. Where you should go as a traveling therapist is a very personal decision. For instance, in the winter, I want to be where it is cold, snowing, and I can ski. I recognize that many other people want to be somewhere warm in the winter instead – our wants and preferences will vary wildly. If you have a very specific city or town in mind to travel to, you might need to be much more flexible in other details of your job search. If you don’t have any specific places in mind at all when you start to travel then you already have some good flexibility to your options. …or mountains AND ocean… jobs available now in Sitka, AK. Click the picture for more info. If you can easily pick a favorite in each of those categories, you are well on your way to finding a location that will make you happy. Some logistical issues that may help you further narrow down where to look for a job are the speed of a certain state for getting a license (perhaps fastest through the PT compact) and availability of travel jobs in a given area – your recruiter can help guide you in either of these criteria. Traveling as a couple, my wife and I typically picked a city we wanted to live in and would give our recruiters an amount of time we were willing to commute to find two jobs within a reasonable radius of our homebase. More often than not a community hospital or home care agency would have two travel PT jobs available at the same time, but that’s something that can be very dependent on the region. This is another very personal decision, but the more flexible you can be on setting, the better chances you’ll have of checking the boxes on all of your other priorities…. but is there such thing as being too flexible? So often, I talk to new grads who have leapt straight into traveling. Many of these new grads are looking for outpatient jobs, but often told that SNF jobs are their only option. If you have no experience as a therapist, then you have very little bargaining power to explore anything but the options that are first presented to you. So, I advocate for two things – get at least a little experience before you travel and put up a bit of fight before accepting a setting you absolutely do not want to work in – hold out, be patient, and be flexible about where you might travel to to get a setting you desire. On the other hand, one of the things I love most about traveling is the variety of practice settings I have been exposed to. There is so much in PT that I never would have experienced if I hadn’t gone into travel. There is a balance to be reached between pursuing the setting you want and being open to other settings that you are willing to work in. Yes, please strive to be in the setting you most want to be in, but also work to acquire the experience and expertise you need to pursue those jobs. Also, be open to accepting jobs in other settings that might expand your clinical experience and allow you to grow with more diverse clinical skills. Last, and least, pay. Yes, you can make lots of money in traveling therapy. But if you go into traveling for only the pay, you won’t last very long. I’m not saying to cast aside all thoughts of pay. It is very important that you are paid well for being highly educated and having the flexibility in your life to pick up and move for work. If two otherwise equal options present themselves, by all means, take the one that pays more! But don’t set pay ahead of all other factors, I believe you’ll eventually come to regret chasing the money in the absence of person and professional satisfaction. You have to find that balance between your pay and the other factors that can make or break an assignment. If you’re not happy, you won’t last long in travel – the best travelers go into traveling therapy to live a better life. If you are doing it only to pay off loans or make as much of you can, you will burn out quickly and head back to a settled life in order to gain satisfaction in other life-areas you have neglected. Finding both happiness and success in traveling requires a balance of several factors. Sit down, write down your priorities, and figure out where you are willing to be more flexible. Finding the balance that uniquely suits you is what will help you succeed, find joy in your work, and allow you to continue traveling. I had the opportunity to talk with Regis University DPT students. We covered a whole lot of topics in just 30 minutes – housing, tax home, finding a recruiter, searching for assignments, independent contracts, PT compact and licensure, health insurance…. and a lot more. The presentation and Q&A were video recorded and are here for your enjoyment! In this piece, The Vagabonding DPT and HoboHealth are teaming up for the 3rd time to present to you the major red flags we look for when choosing a staffing agency or when choosing to accept a specific travel assignment. These red flags shouldn’t be treated as absolute no-no’s for taking an assignment or using specific recruiters, but they should make you pause and think, “Is this what I want in an assignment?” If you run across these red flags, your antenna should perk up and you should be asking yourself if it is the right situation for you. We may use recruiter and agency interchangeably. The recruiter is your main point of contact who also represents the agency. So, if you are working with a recruiter that starts checking the boxes on several of these red flags, move along. There is enough options for agencies that you shouldn’t be working for one that employs any recruiters with shady practices. One of the most egregious red flags is if your recruiter ever tells you that you can only work with them and not for any other agency. “If you don’t commit to me, I can’t give you my full attention either,” is usually how this is presented. The thing is, that is EXACTLY the role of a recruiter: To give you their full attention, to work as hard as they can to find the best job for you. If a recruiter can’t find you a job, they don’t make money. A good recruiter should be going above and beyond to win you over. YOU, the therapist, are the commodity. YOU hold the power, not the recruiter. When searching for a job, your recruiter should stay in touch with you often and actively search for jobs. Many agencies are passive in their job searches – they sit and wait for jobs to be posted to them through subscriptions to staffing databases. If your recruiter isn’t in touch with you often and communicative about the process of finding you a job, they may be solely relying on these databases. There are recruiters and agencies out there who will do the footwork of getting on a phone and calling around to clinics to look for jobs that match your priorities. You should feel like your recruiter wants to find you a job that meets your needs. As we’ve mentioned, constant communication with your recruiter is essential for your success as a traveling therapist. An excellent recruiter will disclose all aspects of your contract including the cancellation clause. All contracts include a cancellation clause in which the facility reserves the right to cancel your contract in the event that they hire a full-time therapist or therapist assistant to take over your position. This clause will typically give the traveling therapist either a 2 or 4-week notice prior to terminating the contract. Many new travelers may not even know about this until their contract gets cancelled. If it isn’t obvious in the contract, ask questions of your recruiter. While having a contract cancelled isn’t extraordinarily common, it does occasionally happen and you should know what the process is in case it happens to you. Some red flags may take a couple assignments with an agency to reveal themselves. If you find yourself in a situation where a company is refusing to pay referral bonuses you earned by referring colleagues, or if situations develop where previous pay is being reclaimed for questionable reasons – it’s probably time to start looking for a new agency. When things of a financial nature begin to creep up that don’t seem completely above-board, it is usually a good indicator of where the agency’s priorities are – in their own bottom-line, not the wellbeing of their travelers. The phone interview is typically your only chance to interview a facility. These red flags below come from questions you can ask on the interview to reveal what you really want to know about a facility. The interview isn’t just your chance to convince a facility that you are right for them, it’s also your chance to learn if the clinic is right for you! Ask the right questions on your interview, search for these red flags, and you may never have a bad assignment. During your interview with the facility, you must ask about productivity expectations. Skilled Nursing Facilities are notorious for unrealistic productivity expectations of 95%. This means that they expect you to have direct patient care for 7 hours and 55 minutes leaving you less than 5 minutes each day for chart review, documentation, team meetings, progress notes, re-certifications, discharge summaries, etc. Home care companies can also vary wildly in their expectations, it makes a huge difference whether you are expected to see 5 or 7 patients daily and whether different types of visits (i.e. Start of Care visits that can take multiple hours) are credited on your productivity as more than one visit. Ask the facility if they’re caught up on documentation. At times, SNF’s with staffing issues may have PTAs or COTAs running the facility and have a PT or OT off-site, which means that they may be behind in clinical documentation. If they are behind, you may be placed in a position in which they will ask you to update documentation for a time period before you were hired. This is a RED flag. Don’t ever risk your license. If you’re interviewed by a regional director who does not work onsite, ask to speak with someone who does. If they say no or try to dodge this, then that should be a red flag. You want to speak to someone who can attest to the daily challenges of that facility. A regional manager, who lives in a different state, will not be able to provide you a realistic picture of those challenges. You will have a direct clinical manager, this person should be available for a conversation. Ask why the facility is short-staffed. Is it location? Is a therapist on sick leave or maternity leave? Have they recently expanded? It’s important to know what kind of staffing need you are filling for a couple reasons. If you would like the potential to extend your contract longer than the initial 3 months, it’s more likely to happen if the staffing need is ongoing rather than only for an employee’s temporary leave of absence. Chronic staffing needs occur for a variety of reasons. Some reasons for long-term staffing needs are completely reasonable, like being in a location far from any PT schools – these clinics often have staffing needs. Another reason that a clinic may have ongoing staffing needs is because they are, frankly, a lousy place to work. Asking more questions about the clinic’s staffing needs may help you discern between clinics with staffing needs for good reasons and clinics with staffing needs for bad reasons. If you are working in a stand alone clinic, ask who the owner is. In all other situations, it’s at least practical to know who your direct supervisor is. This seems like an innocuous question until it isn’t. James once didn’t ask this question and the owner and clinic supervisor was an unlicensed Chiropractor from South Africa. Ask this question, if the answers get weird, it is worth asking more questions. Find out who you’ll be working with. How many therapists and of what type? How many therapist assistants? How many other kinds of care extenders (ATCs, Massage Therapists, Techs/Aides)? An abundance of Assistants is a big red flag and a good indicator that as the therapist you will be spending more time doing evals and discharges than actually carrying out treatment. These questions can also help paint a picture in your mind of what a day in this facility looks like. If you try to suss-out these red flags with your recruiters and during interviews, and if you are willing to walk away when the red flags stack up, you are likely to have a successful, enjoyable travel career. Failing to ask the right questions and have a meaningful dialogue on the interview can set you up for a frustrating time as a clinician and traveler. Good luck out there! If you’re a traveling therapist and have any additional advice feel free to comment below. As winter comes to a close, you might be wishing you were on an island somewhere…. if you’re a travel PT, you may have that option on your next assignment. Here’s (more than) 4 opportunities that could have you living on an island soon. Lots of links included to articles from when I worked on and visited several of these islands. Kate hiking down from the 10,000 ft summit of Haleakala on Maui to camp in the base of the volcanic crater many hours and miles later that night in 2014. Let’s not bury the lead. Hawaii is a tropical paradise within the borders of United States. All the advantages of really getting off-the-grid without any of the hassles or insecurities of international travel. Within Hawaii, there is a wide spectrum of opportunities – from uber-urban living to the very rural – a little different flavor for whatever your taste is. Maui and Kauai each have occasional assignments available and tend to be a happy-medium for the traveler seeking a mix of social life and rural island-living. Both islands have thriving communities and also places you can quickly get off the beaten path. Each island has grown a bit in recent years, but also have huge swaths of land preserved for their beauty and recreation. On Maui, much of that land is within Haleakala National Park. Haleakala is a 10,000 ft volcano with astronomy observatories on top and it’s flanks running straight into the ocean. On Kauai, few views on Earth rival those of the Napali Coastline – a stretch of steep cliffs and secluded beaches spanning the coastline between where the two ends of the road circling the island end. I really believe you can’t go wrong with any opportunities that arise on Maui or Kauai. Mother nature hard at work creating more land on the Big Island through the eruption of Kilauea volcano and lava running into the ocean in 2016. The Big Island, which is actually named “Hawaii”, has it all. The Big Island is about 70 miles across and boasts 13,000 foot peaks, an active volcano, some of the best scuba diving in the world, and a thriving biking/running/swimming community that hosts the Ironman World Championships each year in October. Kona on the dry West coast of the island, and Hilo on the Eastern wet side of the island are the two major towns – each have a pretty steady stream of revolving travel assignments available. When finding a travel PT assignment in Hawaii, luck and timing play big roles. Sometimes, very few jobs are posted, while at other times, you’ll find many jobs. Waiting just a few weeks typically resolves any drought of jobs, but be cautioned that Hawaii assignments draw a lot of applicants, so bring your A-game to the interview. Also worth noting that pay in Hawaii can be low… but you’re working in Hawaii, so…. On the beach below the Gay Head cliffs on Martha’s Vineyard in 2015. Martha’s Vineyard, off the coast of Cape Cod in Massachusetts offers the true island-living experience. In the summertime, people are intent on fishing, beaching, and… outdoor showers? I believe that nowhere in the world is as passionate about outdoor showers than the people of Martha’s Vineyard. When assessing function and patient goals on my home health assignment on Martha’s Vineyard, it was not rare to have a primary goal for a patient to return to their outdoor shower. When Kate and I lived in a camper there, we caught the fever – although we had a shower in our camper, the campground opened a row of 6 outdoor showers, and we indulged daily, rarely, if ever, using the indoor shower. Martha’s Vineyard Hospital and the Martha’s Vineyard office of VNA of Cape Cod often have openings because affordable housing is near-impossible on the Vineyard. Many of their permanent employees travel 45 minutes by boat everyday from The Cape for work. If you can figure out housing on The Vineyahd, you’ll have a great time. Also worth mentioning, the Cottage Hospital on Nantucket, a couple hours by boat from Martha’s Vineyard, also regularly seeks travelers. The US Virgin Islands are part of FSBPT. Like any state, you can apply for a license in the Virgin Islands. St. Thomas is the main island and has historically had good availability for jobs. The Virgin Islands are definitely for the more adventurous traveler, or, perhaps, for the traveler who wants a tropical experience, but doesn’t care for the long distance to Hawaii. Most people on St. Thomas speak English, but Creole or Spanish may be primary language of some patients. I have read about concerns of safety, but travelers who have worked there tell me that if you are smart about your surroundings and company, then it is safe…. and highly enjoyable – basically like any major US city. Hurricanes Irma and Maria may have changed the travel experience on St. Thomas. Largely overshadowed by the destruction in Puerto Rico, the Virgin Islands got hit hard as well – in fact, the roof ripped right off the hospital in St. Thomas during Irma. As best I can tell sitting at my computer in Colorado, it appears there is still an ongoing need for travel PTs in St. Thomas – it also appears there are many volunteer opportunities to continue helping with hurricane recovery. It’s worth mentioning that Puerto Rico is also under the umbrella of FSBPT, so you might consider volunteer work in Puerto Rico as well. With more coastline than the entire rest of the US, there are many way-off-the-grid island opportunities in Alaska, but here are a few standouts. Looking across the town of Sitka at Mt Edgecumbe, a dormant volcano. Also, I remember Sitka having a great brewery! Kodiak Island currently has travel PT needs. Kodiak is 100 miles long and has a population under 14,000 making it a true outdoorsman’s paradise. Kodiak is best known for the Kodiak Brown Bears, which alongside polar bears are the largest bears in the world. Kodiak has ample fishing, hiking, hunting, and anything else you can imagine outdoors. Though, it is not for the faint of heart – no one is around to bail you out if you get yourself in trouble out in the wilderness. But for the therapist looking for a truly rugged off-the-grid experience, Kodiak could be a dream assignment. Sitka, on Baranof Island, was the capital of Alaska back when the state was a part of Russia. On our way back from working in Anchorage, Kate and I stopped off to visit a PT friend there and quickly fell in love with the community. Sitka is a vibrant town with architecture reminiscent of it’s Russian past. Our friend took us down to a park to watch for whales, and sure enough, we quickly saw a pod of Orcas swimming by in the bay. Sitka has excellent access to the outdoors both in the mountains and on the ocean. Compared to most of the rest of Alaska, Sitka is relatively Southern and therefor more temperate. If you are willing to make a longer-term commitment (starting at 2 years) in Alaska, there are opportunities to make substantially more money in the form of student-loan repayment. These opportunities are available both in private and government facilities through a government program called SHARP. When working for large health systems in Alaska, there can also be opportunities to take small planes out to remote bush towns reachable only by sea and air. PTs fly in to provide rehab to the residents for a couple days at a time. While I don’t think a typical 13 traveler in Alaska is likely to be sent out to the bush, it might become more possible to make these trips after extending a contract for a longer period. Mendenhall Glacier in Juneau Alaska, 2012…. not technically on an island, but you can only get there by boat or plane. There are many more islands all over the country where you can find work as a traveling therapist. Jobs exist off of Texas, in the Northwest corner of Washington state, off the far Northeast coast of Maine, and down in the Florida Keys. If you look, you will find the island that suits you fancy. Happy travels, and good luck turning those island dreams into your real life. A typical outrigger canoe – the #3 paddler happens to be a PT I worked with on the Big Island. Aloha, Therron. Serious Paddler Dudes. Last time Kate and I did a travel assignment in Hawaii, we joined the Molokai Canoe Club and paddled every week during our 6 months there. We were scheduled to practice 2 days per week, but the paddling really hinged on whether enough people showed up. To paddle an outrigger canoe, you need at least 4 people to have any fun at all – there are 6 seats, and it’s best if you have them all filled. Also, we couldn’t go at all without one of the steersmen, someone trained in steering the canoe – a steerswoman in this case. I haven’t shared enough about this experience. I try to avoid too much talk about Molokai on this site, because it’s a quiet and special place, and I’d like it to stay that way. But I was recently reflecting on my evenings in the canoes and at the canoe shack. They were special times. The kind of times only had when you step a bit outside your comfort zone. The first thing you need to know is that the entire club is centered at “the canoe shack”. The shack is kind of a big deal. There’s several canoe clubs on the island, but the Molokai Canoe Club is the only one with a roofed structure. About 10 yards down the beach is another club, Club Va’a – they are the more competitive canoe club, but they don’t have a shack, just a couple storage containers. Molokai Canoe Club has been run by generation-after-generation of paddlers. When one generation of the Rawlins family ages out of the daily operations of running a canoe club, the next generation takes over. As with any respectable canoe club in Hawaii, they have a koa wood canoe. Here, with the time I have to write, and with your limited attention span, I cannot properly explain the great significance of the koa canoe. It is brought out for parades, big events, and only paddled during the most important races – the koa canoe is special, it’s spiritual. The major paddling events all have Koa divisions reserved only for clubs racing koa wood canoes. Paddlers getting ready for the 2014 Kaiwi Channel crossing. Molokai is a mecca for Outrigger Canoeing. The biggest interisland races in Hawaii either start or finish on Molokai including the Kaiwi Channel Crossing – 40 miles of open ocean considered the world championship of Outrigger Canoe Races. Being first time paddlers, we were relegated to the recreational group, very recreational. Whether we had 6 people to fill all the seats in the canoe was always up to chance. Luckily, the recreational group got together on the same nights as the Uncles. “Uncle” and “Auntie” are respectful terms in Hawaii – best compared to using Ma’am or Sir. The Uncles at the canoe shack were legends back in their day. The local bar, Paddlers, has pictures on its walls of all the old teams that had won races and competed in the Kaiwi Channel Crossing – younger versions of the Uncles were littered through the pictures on the bar walls. Many of the Uncles are serious about their Hawaiian heritage and still take their paddling seriously, but they are more of a drinking club with a canoe problem. The canoeing is secondary to the comradery and social gathering that takes place every Tuesday and Thursday night after a solid paddle. Being with the recreational paddlers on the same nights, Kate and I got to know the Uncles well. We’d often hang out with them at the canoe shack after our paddle where someone showing up with dried octopus (taco in Hawaiian) or some fresh caught raw fish was commonplace. Frequently, we would combine numbers with The Uncles to make a full boat of 6 people – or to complete 2 boats of 6. Those evenings hanging at the shack with The Uncles were the most Hawaiian times I ever had. Even having worked in Hawaii 4 times previously, there were a couple of the Uncles that I couldn’t understand with their thick Pigeon English. Over the months, we built up hours and relationships with The Uncles, at some point I began to understand them all easily. The Uncles share a celebratory shot before sailing their canoe 60 miles to the North Shore of Oahu. On two occasions, the number of paddlers and water conditions were just right so that the Uncles wanted to go surf a canoe. On the first time Kate and I did this with them, conditions were perfect. We paddled out to some flat water beyond the wave break and enjoyed some beers from a cooler in the back of the canoe before surfing. We paddled into some waves a few feet tall breaking on the reef and let them lift the boat, carrying us in quite a ways. We paddled back out and repeated. Surfing the canoe was a much bigger rush and joy than I ever had surfing on a board. The second time I went surfing with the Uncles, only myself and one other woman from the recreational group had shown up, but luckily there were four Uncles there who wanted to go surf some waves. In the boat that day were a couple of the local Molokai-grown Uncles, Uncle Clayton and Uncle Russell steering the boat; Sully, a transplant from the North Shore of Boston via Colorado who was a very serious paddler who had come to Molokai specifically to paddle with this group of guys; And Marty, a long-time Molokai transplant from the West Coast who must have been completely nuts as a younger guy, because all the local-Uncles respected him. These guys have all paddled together for years, making channel crossings between island and continuing to sail canoes great distances in races throughout the Hawaiian chain. I was in good hands that evening. Closing out the canoe season with a final race followed by a full afternoon party at the canoe shack. We paddled out in a channel on the left of the waves past the sets of big waves coming in and breaking on the reef – much bigger this time around, perhaps 6 or 7 foot waves. We made the big righthand U-turn to align the incoming waves behind us and paddled like crazy, there was a lull in the surf and we failed to catch any wave. We repeated our moves – made another righthand turn, paddled back out past the big waves and once again made our approach. Again, nothing. We repeated this one more time, again failing to catch a wave. We rested and decided on one last attempt. As we paddled out the fourth time, huge waves rolled past us – 10 or 12ft? We made our turn into the set between two of these huge waves. Being tired from the previous attempts, we didn’t get enough speed and ended up surfing IN the wave instead of ON the wave. The boat filled with water and the 6 of us were left sitting ducks with the walls of the canoe submerged underwater. We remained in our seats, water level at our waists and paddled like crazy with every ounce of energy to avoid the next oncoming waves. Somehow, we got out of the path of the breaking waves, back to the deeper water and had to get out of the boat to dump the water out. This dumping maneuver, rolling the canoe onto its side, got about half the water out of the boat and got the top of the canoe up out of the ocean – the rest of the water would have to come out through frantic bailing using hands, paddles, and two 1/2 milk jugs that had come with us for this exact purpose. As we all exhausted from swimming and bailing, someone noticed we had drifted back into the break. Another 10ft set was approaching off the right side of the canoe and it was time to GO! Everyone scrambled to get out of the water, into our seats, and paddle like our lives depended on it to get out of there. Maybe our lives did depend on it. We paddled like crazy and as the big set rolled in, our boat was gently lifted and dropped off the edge of the first wave as we scooted out from its path. I continued to bail the remaining water as the others paddled our soggy canoe and crew back to shore. I later learned that if that set of waves had caught us, we would hardly have been the first canoe to sink on that reef. We skipped drinks and snacks (pupus) after that particular paddle. But out there, a half mile off shore, swimming around a sinking boat in a bad situation, I had a memorable experience with the Uncles. It wasn’t the kind of situation you could (or would ever want to) manufacture, but for me it was so unique. This was hardly the Uncles first time in that situation, but it was an experience I will remember forever. The canoe shack was special, and I will remember it fondly. From sending racers off to open ocean races, to the big bash at the end of the canoe season, to near-catastrophe on the reef, to the simple evenings with the Uncles sharing pupus and Natty Light – the canoe shack left me with some of my favorite memories that leave me yearning for a return to Hawaii. Someday we’ll get back, some day. If you ever make it to Hawaii, join a local canoe club. Search With One Travel Recruiter or Several? When I first started traveling, I worked with just one company, I had steady health benefits, I would accumulate PTO, and I even got a free wifi printer as a loyalty bonus. The printer was too big to travel with, but I still use it when I have it with me. The company I worked with initially has big name, and they were always able to find me a job. But, when I started looking around, I realized the deal I was getting might not be as good as I thought. Other companies were offering me as much as $200 more per week for similar jobs and seemed a lot more attentive to my needs. $200, that’s one wifi printer per week! That started me down a path of searching with multiple companies about 7 or 8 years ago. I started traveling about 2 years ago as a new grad. I was fortunate to have a Travel PT mentor who set me up with my current recruiter. Yes, that’s singular. I have one recruiter. I know that the majority have multiple recruiters, but for now, having one recruiter has helped me build my career as a physical therapist. My recruiter is fully aware of my abilities, professional goals, minimum pay rate, and setting preferences. He’s submitted me for positions that I may not “qualify” for (i.e a requirement of 5+ years for a job assignment) because he was confident in my skills and that the position would be a perfect fit for me. Even as a new graduate with my first assignment, I’ve stood firm on negotiation of time off as well as pay rates. I got exactly what I wanted because I had a recruiter who was willing to negotiate those terms on my behalf. What are the advantages of having one recruiter vs. multiple recruiters? Compare pay rates between companies. It becomes clear very quickly whether what you have been making is competitive with other companies’ rates or not. Knowing what other companies are able to pay you in a given area can be a great negotiating tool if you do decide to stay with just one company. Different companies have different jobs. You will see many of the same jobs posted across most agencies – the jobs that are the same across agencies are all listed on databases that many facilities contract with to fill their jobs. The databases sell subscriptions to the staffing agencies to have access to their jobs (the databases also charge 3-4% of the total contract price to the recruiters). To beat this system, agencies have gone out of their way to make contracts to exclusively staff particular facilities. So, it is possible that you can’t find a job in a particular area because you aren’t looking with the agency that has an exclusive contract with a facility in the area. Also, some agencies rely solely on what comes across the databases; Other companies are willing to call around for you. All recruiters will say they are willing to canvas an area for you, but less will actually do it (the smaller agencies tend to be more willing to put in the footwork of tracking down novel contracts). Broadening your agencies, may open up additional options. Paid Time Off: My company provides paid time off for 40 hours after working 2,080 hours and 1 year with them. A travel therapist would be free to cash out that PTO to fill any requested time off during an assignment or in between assignments. From that point thereinafter, you accrue some PTO for every hour you work. New Grad Bonus: A new grad who works 3 consecutive contracts with this company will earn a $1,000 bonus. Continuing Education Bonus: When you’ve stayed with this company, you receive $400 of continuing education credit valid also for conferences such as Combined Sections Meeting or NEXT. Less Paperwork: Every company has a set of protocols that they must follow to be compliant with TJC including BLS certificate, licensing, NPI number, vaccinations, physical exams, TB tests, drug screen and physical examination. In addition, each company will have a mound of paperwork in regards to the company’s policies and procedures about expectations, benefits, clinical competency, etc. Staying with one company allows you to focus on what you need: less paperwork and more time to invest in your passions and interests. Health Insurance: If you choose to go with one company and choose to go with their health insurance, you won’t have to worry about switching health insurance companies. Travel PT companies will typically allow you a 30 day grace period in which you will be covered by the company while you’re between assignments. Consistency: Some larger Travel PT companies will bounce you around with various recruiters who manage a particularly region. If this is the case, then you will have to take the time to let each recruiter know your preferences and want-list. Do you feel there are any disadvantages to the approach you have taken? The obvious downsides to working with multiple agencies are the benefits you don’t get for being loyal to one agency and the extra paperwork you do get – as April mentioned above. If you do work with multiple companies, remember this cardinal rule: “You take a particular job with whichever agency offers it to you first.” Meaning, you can’t take an assignment offered by one agency, and tell a different agency about it to try to get a higher pay rate. Things can get sticky fast. It takes some management to work with multiple companies. At one time, I was searching with 6 or 7 different agencies. One job came up and they had received my resume from multiple different agencies, each claiming I was “their guy”. While I went with the first agency to present the job to me (the only agency who had permission to submit me for the assignment), another agency bullied the facility into only accepting my interview through them. I was unable to go with the agency I liked best and who had presented me the assignment first. It was embarrassing and it’s why I now limit my searches to 2 or 3 agencies. When you are working with multiple agencies, you have to be clear that you need to be contacted before being submitted to a job, otherwise you may end up in my situation with companies bickering over ownership of you with the facility – it’s embarrassing and a good way to blow the interview before you even have it. As James mentioned above, working with one company requires much trust in one person to provide you with the best pay rate, location, and setting. By doing so, you may limit your options for future possibilities. You must trust that your recruiter is negotiating the terms of your contract to the best of his/her ability to provide you with the best overall package. To decrease this, you could also ask other Travel Therapists about their pay rate for that setting in that specific region. The same facility may be working with several travel recruiting companies to fill a need. So when you work for multiple companies, you may be offered the same position via two different companies which can actually work against you. In the end, you may not end up with the assignment. We present you with the advantages/disadvantages to assist you in making the best informed decision for your travel career path. We’ve each done our research to negotiate our contracts. Stay informed and ask around. This is the second blog HoboHealth and The Vagabonding DPT have done together, you can link here to our first blog together about whether or not to travel as a new grad. I just came in from fishing on my kayak on the eve of my last day of this travel PT assignment. As usual, I caught nothing, but got a killer view of the sunset. Tomorrow, my wife Kate and I will work the last day of our contract on the island of Molokai in Hawaii before heading back to our winter home in Aspen, Colorado. This transition seems a little more subdued than usual – maybe it’s that we have some time between assignments and aren’t in a rush to get on the road. I used to lose all motivation to do paperwork during the last 2 to 3 weeks of any assignment – of course the paperwork eventually had to get done, but it wasn’t pleasant. As time goes on, the switch has become a bit more mundane for me – one job ends, another begins… just like they always do. But I’m better at keeping my nose to the grindstone until the very last days. Here I am paddling out to fish in front of our apartment on a similar evening where similarly, I caught nothing. With ending a job, there’s all the finals steps that need tending to: cleaning out/off your desk, finishing all notes, tying up the loose ends on the cases of any patients who may have gone missing, and preparing for the other therapists to take your patients. Bottomline is: you don’t want the last memory of you to be all of your unfinished work left behind for the other therapists to handle. There’s typically some pageantry as a traveler gets ready to leave an assignment. I try to avoid too much fanfare, it feels awkward to me – I’m very used to coming and going. If it were up to me, I’d leave the office on Friday with the typical wave of my hand and a “have a good weekend!” …and never come back. In the PT Department earlier this week, we had a nice, simple ice cream bar with just the 5 of us in our department. It was nice, simple, perfect – it was a wonderful, delicious gesture, but not over the top. This location has trouble finding a permanent PT because of its isolation, so they are used to a revolving door of travelers. Perhaps that explains why my style of a “goodbye” matches with theirs. Someone, Vikki, will come in on Monday and take my place. She seems nice, and I hope she is – I’ve been telling all the patients she seems good, and I bet she’ll take all the placebo effect she can get. The patients definitely don’t like it when a traveler leaves, but I still laugh when an unassuming grandma threatens to come to Colorado for PT this winter. The greatest challenge that comes with moving along to the next job is the process of getting the next job arranged. After traveling for 10 years, and returning to the same seasonal job every winter, finding the next job isn’t usually too much of a process anymore, but it used to be! Figuring out where to go is the first major hurdle, and it needs to happen well before the last days of the job. If you’re on a 13 week contract, you should have a pretty good idea of where you’d like to go very early on in the contract – especially if you need to get a new license to go there. When it’s time to find the next job, it’s not uncommon to find me in little corners of a hospital, between appointments, making calls to recruiters for quick updates on potential jobs. There’s a lot that goes into getting the next assignment, and it can, and usually does, happen at a pretty fast pace in the middle of a busy work week. I just read a couple articles in a ski magazine and it got me pumped to be headed back to Colorado for the winter. I cannot wait to get my skis out of storage and onto the mountain (it’s snowing there right now as I write). Kate and I have ordered a fair amount of ski gear on sale over this summer while we’ve been here in Hawaii, so we’ll have to box all that junk up and ship it ahead. We have almost two weeks of hanging out in Hawaii before we have to leave – I really think this is the ultimate traveler’s hack. I haven’t had to pack a thing while I’ve been working. It is so refreshing to not have a car full of stuff before my last day of work tomorrow. Here’s the Shasta camper we bought. I can’t wait to get to work making her shine again! When we do leave for Colorado in 2 weeks, we’re going to swing through Oregon and visit some friends in Bend before flying into Denver where we’ll be buying two cars. The original plan was to have one car when we returned to Colorado and have some time to find a second car, but while we’ve been away, the Colorado car’s engine stopped working. I’m not very mechanically-inclined, but my understanding is that the engine is a fairly essential part. So, we’ll buy at least one, maybe two cars in Denver – one has to be able to pull the 1970 Shasta Camper we bought from a friend sight-unseen (more on this in the future). After we’re done visiting Oregon and vehicle shopping in Denver, I have a dry needling course in Colorado Springs to attend for 3 days. So excited to finally be a needler (but not excited to be needled for 3 days straight)! The course ends Sunday, and work will start Monday – guess I won’t be starting this assignment well rested regardless of my 3 weeks off. Despite all the excitement that lies between today and work starting 3 weeks from now in Colorado, I’m bummed to be done here. It’s a community I have grown to know and love and the bitter is mixed a little more heavily with the sweet this time. I guess I’ve got a pretty good thing going here, I could keep working here for another couple months, but it’s that time of year to move on. This is our second time doing a contract on Molokai. When Kate and I came over from the Big Island 2 years ago for an interview, we thought it might be a once-in-a-lifetime visit to Molokai. Three contracts later, Molokai is a part of our life. We’ll be back. I don’t know in what capacity we’ll return, but we will return. Hawaii, it’s been a blast and I shall return. Oregon, let’s see what you’ve got (I hear you’ve got mountains, ocean, and beer – I like those things). Colorado, I can’t wait to hit the slopes and reconnect with all the friends back there. Nose to the grindstone, one more day of work.